Our high-grade Machined Interlocking Grip Plate is made out of highest quality ASTM Grade 20 cast iron and is designed to be used in the heaviest situations. The interlocking feature allows the user to safely load more plates onto machines and bars to maximize workouts. 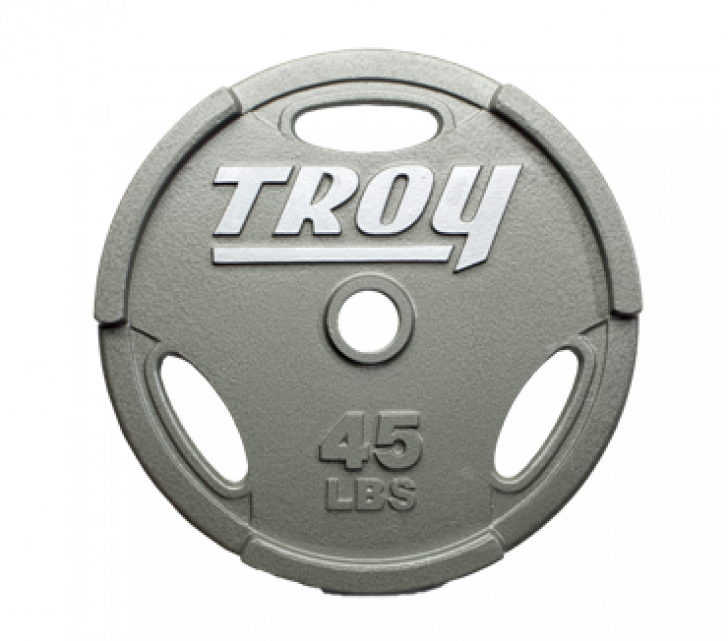 This unique feature makes TROY plates easier to lift and load. Our Olympic GO plates are designed to maintain a 2% accuracy level, plus or minus.